I don’t know about you, but I always make sure I have some time alone during Holy Week, especially on Friday and Saturday. Even if it is just to ponder a few pages, read slowly, savored and considered with care, it is very important to me. There are a few books that I pull out every year, and I’d love to tell you about them, briefly. And a couple others that we have here now on sale. We have them on sale for 25% off. Sale prices good only until Saturday, April 19, 2014. 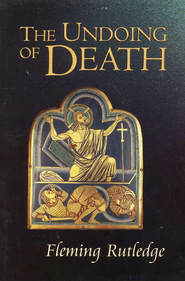 T he Undoing of Death Fleming Rutledge (Eerdmans) $22.00 sale price $16.50 We’ve recommended this stellar author before, and I often name this as one of my favorite Lenten books. Ms Rutledge was a parish priest in New York and is known for being an astute Episcopalian theologian and a very eloquent, profound preacher. This is a sermon collection, drawn from over 25 years of her solid preaching, and ideal for dipping in to any time, but certainly this week. Samuel T. Lloyd III the dean of Washington’s National Cathedral says “Here is passionate, unstinting, full-blooded preaching on the deepest mysteries of the Christian faith…she brings her formidable intellect and her wide reading to bear in saying what is nearly unsayable: God has overcome the world’s darkness, and what happened on a hill outside of Jerusalem has made all the difference.” This is a wondrous book, thoughtful, powerful, sure to reward repeated readings. F inal Words From the Cross Adam Hamilton (Abingdon) $16.99 sale price $12.75 Most readers really appreciate the many popular books by this dynamic United Methodist pastor (including his brand new one published by HarperOne on how to read the Bible without being literalistic.) I’ve listed this one on the famous seven last words earlier in the Lenten season, and it is very well done, creatively so, with a first person monologue in each chapter. A few readers have shared how much it has meant them. This is sweet, solid, provocative stuff; maybe it could be just right for the end of this week. 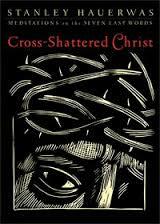 C ross Shattered Christ: Meditations on the Seven Last Words Stanley Hauerwas (Brazos Press) $14.99 sale price $11.25 I assume you know that Duke’s professor Hauerwas is a feisty preacher, both plainspoken (at times) and very philosophical at others. He’s a top notch philosopher and a passionate no-nonsense preacher. He’s written widely about what makes for good preaching — attention to the text, obviously, and application to an idolatrous, violent world, and here is a tremendous example of good preaching, on stuff from the words of Jesus that we too often fail to study carefully. He observes that “we are at once drawn to these words, yet we fear taking them in our hands.” A compact sized hardback with a some very striking wood cuts. As is so often the case, Brazos delivers a very artful little book. T he Kingdom and the Cross James Bryan Smith (IVP formatio/Renovare) $8.00 sale price $6.00 I hope you know the impressive trilogy, The Good and Beautiful God, The Good and Beautiful Life, and The Good and Beautiful Community, all by James Bryan Smith, done in partnership with Richard Foster’s Renovare ministry. This short book includes six reflective studies on the cross, on being an apprentice to Jesus, and how our own transformation points to the coming of the Kingdom of God. This is very, very nice, highly recommended for any time, but especially to ponder these next days. I mentioned this brand new release in passing in my last BookNotes essay, and will review it later — perhaps I will read it at the end of this week. 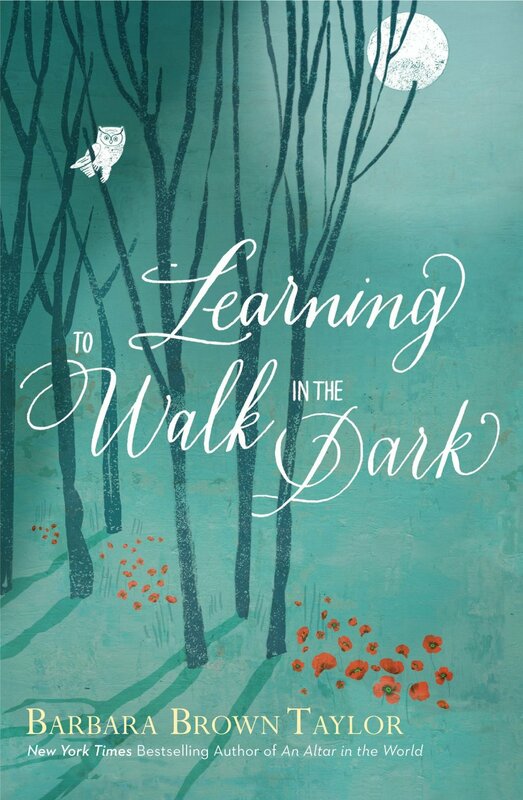 It isn’t that long, and the topic, about a spirituality that works when times are hard and things are unclear — “finding light in the dark” — certainly feels right to read this time of year. Shauna Niequist writes that it is “a gift to every person who’s felt the darkness but not had the words to articulate it, which is to say it is for all of us. A truly beautiful book.” Lauren Winner (who moved many of us so deeply in her book Still) says “Beautiful. Profound. Nourishing. I have needed to read this book for a long time.” Perhaps you do too. Here is a good interview that my friend Jonathan Merritt did recently with Barbara Brown Taylor about her new book. Check it out, and see there the BBT video as well. 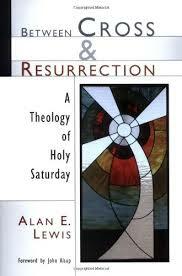 After this week, we’ll have this at our more regular BookNotes 20% discount… I hope to review it soon.